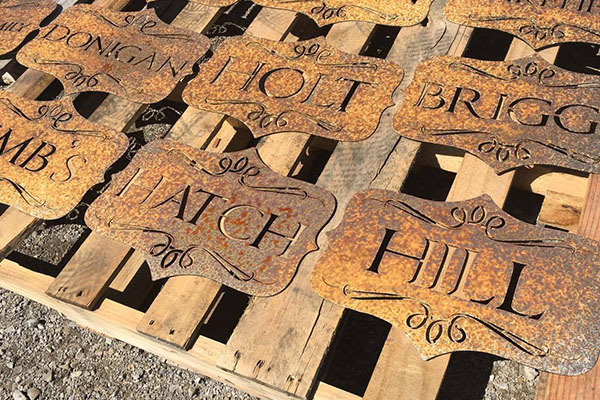 Smith Steel Works manufactures custom laser cut estate signs in Utah County. 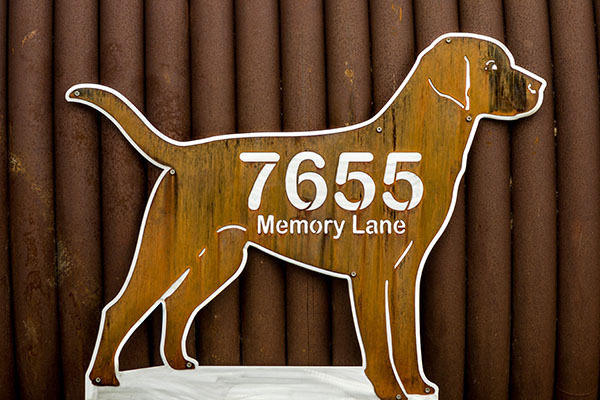 Each laser cut sign is designed with specific dimensions, images, etc. to match the feel of your home or estate. 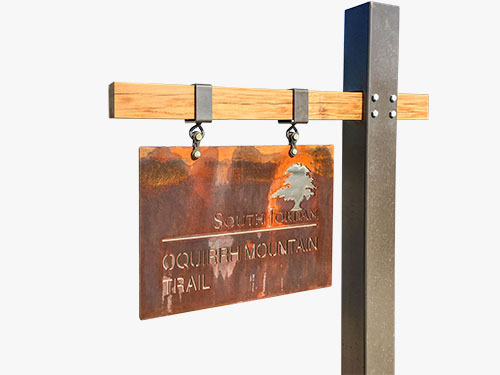 For a weatherproof finish, the metal signs are sandblasted, primed, and powder coated. This provides a durable covering that protects the metal from rust and corrosion. 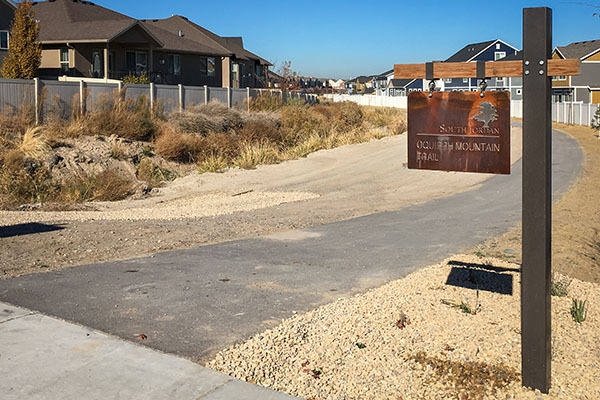 To order your metal estate sign, give us a call at (801) 414-1724 or click the link below. 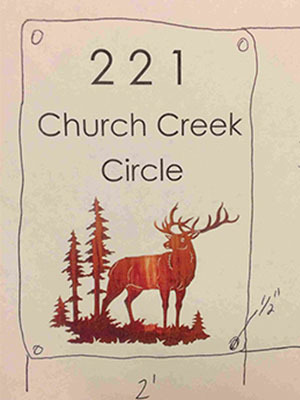 We work directly with you to create the sign that you have envisioned. When ordering, be sure to send us Word Documents, AI files, etc. with any design ideas that you have. Our team will take your design ideas and create a realistic mockup. This mockup will be emailed to you for final approval before we proceed with laser cutting. 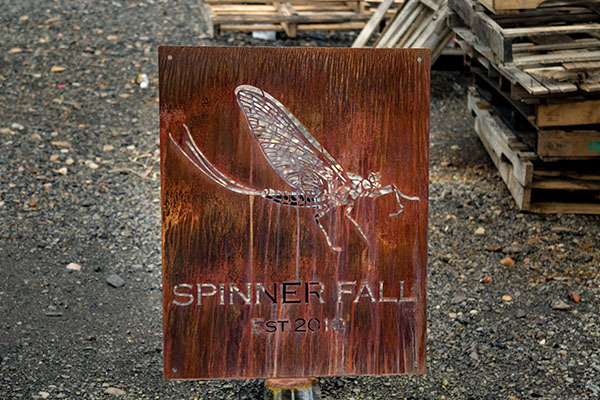 Once the sign has been laser cut, it is then either powder coated, rusted, or left with the stainless steel finish. We then package it up and mail it directly to you installing. Add custom inscriptions , images, sceneries, portraits, etc. 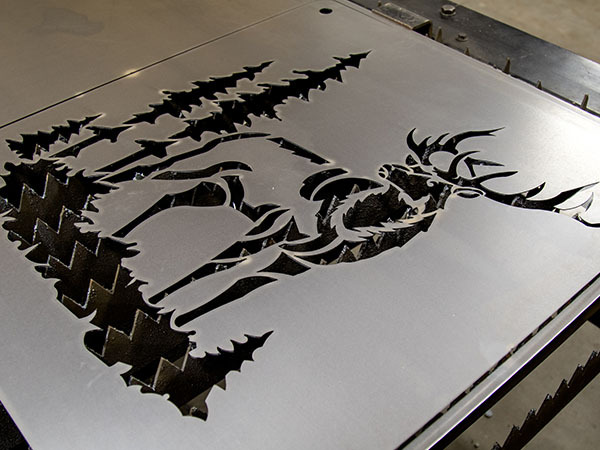 The laser creates small, precise cuts which allows us to design practically anything, including elk. We offer powder coating color options to protect the metal from rust and corrosion. You can view the color options here. 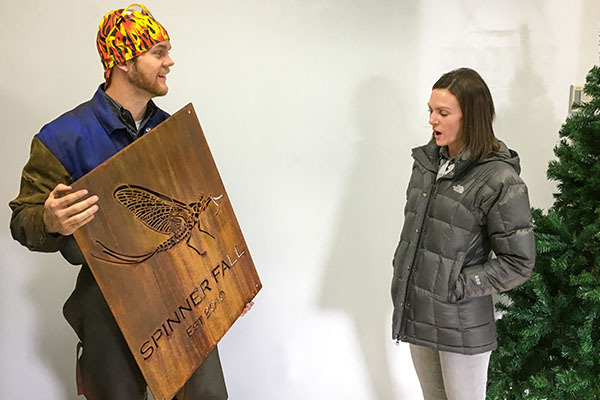 Our team works with custom dimensions on all sign projects. When ordering, be sure to supply us with measurements, as well as your plan for installation. 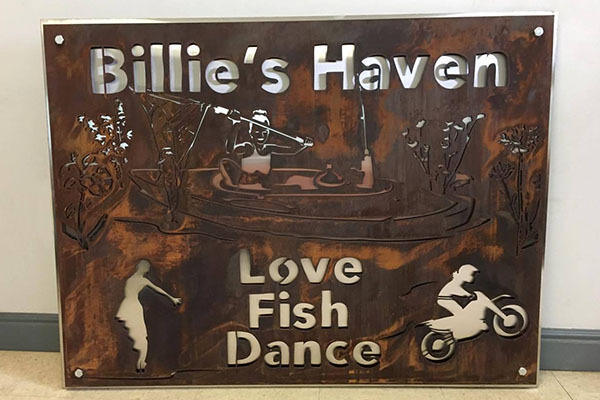 For laser cut estate signs, we understand the need to create signs that last, even in harsh environments. We have spent years perfecting our craft to create signs that will last for years to come. 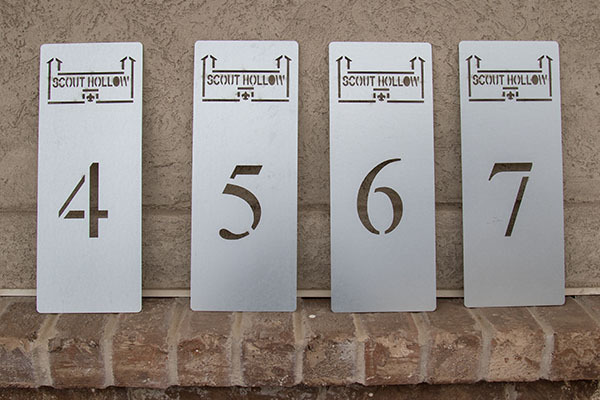 Stainless steel signs prevent rust and corrosion from forming. Powder coat color stays vibrant and bold; even with continuous exposure to the elements. Welds are fully welded to protect the metal from moisture buildup. 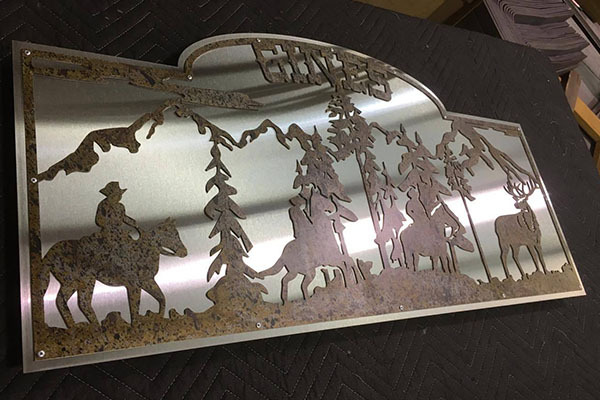 Outdoor camp markers that are laser cut to add detailing while preventing rust and corrosion. The recessive signs are cut from a single sheet of metal. A backing plate can then be added. 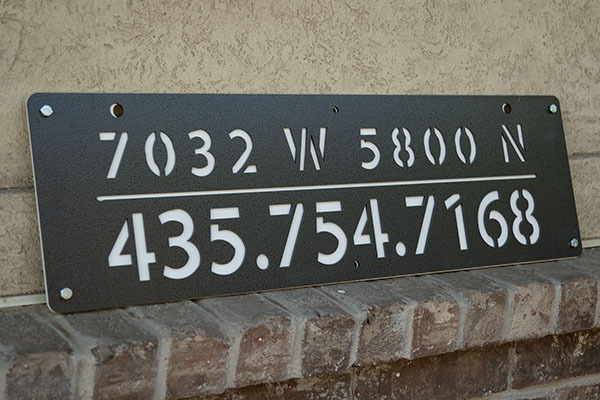 Create a custom address sign for your home or business to match the eclectic style of your estate. We go above and beyond to meet our customers satisfaction. Let us know how we can help you. Our design team are true artists who are take your ideas and turn them into a beautiful product. 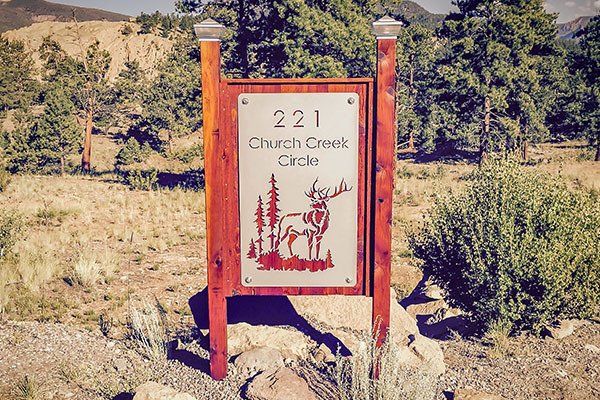 Rustic signs are a popular option for exterior installation; continually rusting over time. 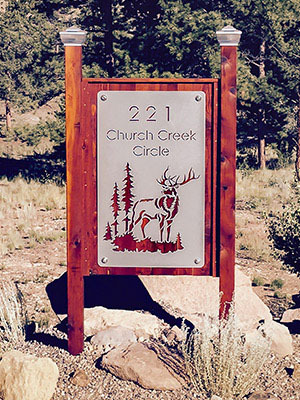 Custom elk signs are available with Smith Steelworks. 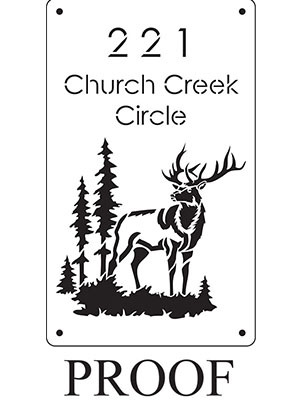 It’s perfect for outdoor estate signage. The hanging estate signs are perfect for your community. We offer a variety of finishes. Is there anything our designers can’t do? We love working on custom products for our clients! 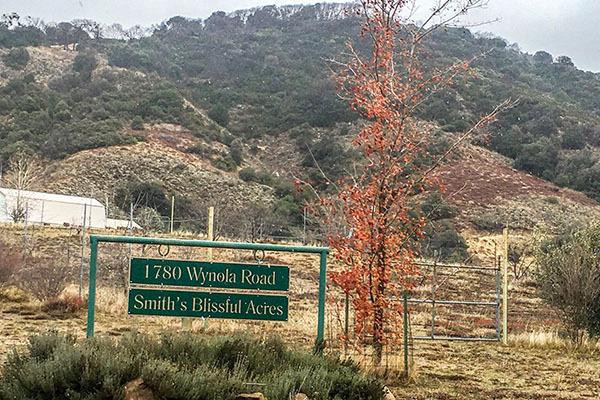 Green powder coat was used for the Smith’s Blissful Acres sign to highlight the surrounding greenery. Learn more about this sign here.